No contractor wants to be faced with OSHA violations. 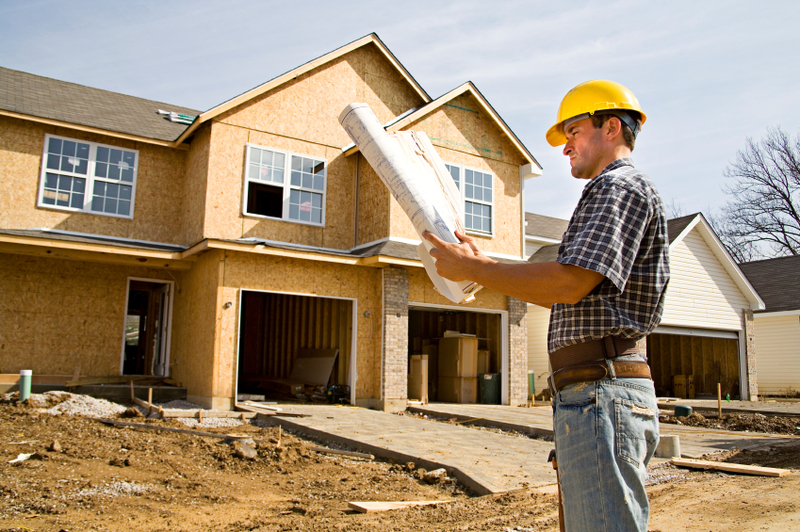 To help you avoid them, here are the 5 most common OSHA citations levied against residential contractors of single-family houses. Not surprisingly, 4 of them relate to protection against falls. The fifth pertains to head protection. Violations of the duty to have fall protection systems in place. Pursuant to 29 CFR 1926.501, employers must ensure that the work place is set up to prevent employees from falling from overhead platforms, elevated work stations, or into holes in the floor or walls. In doing so, employers must install (a) railings and toe-boards or floor hole covers to guard each floor into which an employee can accidentally step; (b) guard rails and toe-boards around all elevated open-sided platforms, runways, or floors; (c) guardrails and toe-boards to prevent workers from falling into or onto any dangerous equipment or machinery; and (d) on certain jobs, employers must install and use safety harnesses, safety nets, stair railings, and hand rails. In the construction industry, OSHA requires employers to provide fall protection to employees at elevations of six (6) feet. Violations of general requirements relating to scaffolding. 29 CFR 1926.451 lays out the criteria for scaffolding capacity, construction, use of supported and suspension scaffolds, and the various fall protection requirements that must be in place for employees working on scaffolds. In addition, Section 1926.451 requires employees working on scaffolds to wear hardhats and mandates that employers protect employees working on scaffolds from falling tools, debris, and other small objects by installing or erecting toe-boards, screens, guardrails, debris nets, catch platforms, or canopy structures to deflect falling objects. Violations of requirements governing the use of ladders. Under 29 CFR 1926.1053 , employers must ensure that all ladders, whether portable or fixed, comply with all OSHA safety requirements, including, but not limited to, meeting the necessary load bearing requirements for each respective type of ladder in use; ensuring that rungs, cleats, and steps are properly shaped and spaced apart to prevent slipping; and ensuring that cages, wells, ladder safety devices and/or self-retracting lifelines are installed on fixed ladders where the length of the climb is less than 24 feet. Violations of OSHA Training Requirements for Fall Protection. Under 29 CFR 1926.503 , employers must provide a training program to each employee who might be exposed to fall hazards. The regulation contains detailed requirements for training employees to recognize the hazards of falling and the procedures to be followed in order to minimize the risk of a fall. Employers must also prepare a written vertification record verifying compliance with these training requirements. Head Protection Violations. 29 CFR 1926.100 requires that employees wear protective helmets whenever working in areas where a possible danger of head injury exists from impact, or from falling or flying objects, or from electrical shock and burns. For more information on OSHA compliance, please call Nicholas Anastasopoulos or Corey F. Higgins in the Labor and Construction Groups at Mirick O’Connell at (508) 791-8500. This entry was posted in Construction, Labor, Uncategorized. Bookmark the permalink.